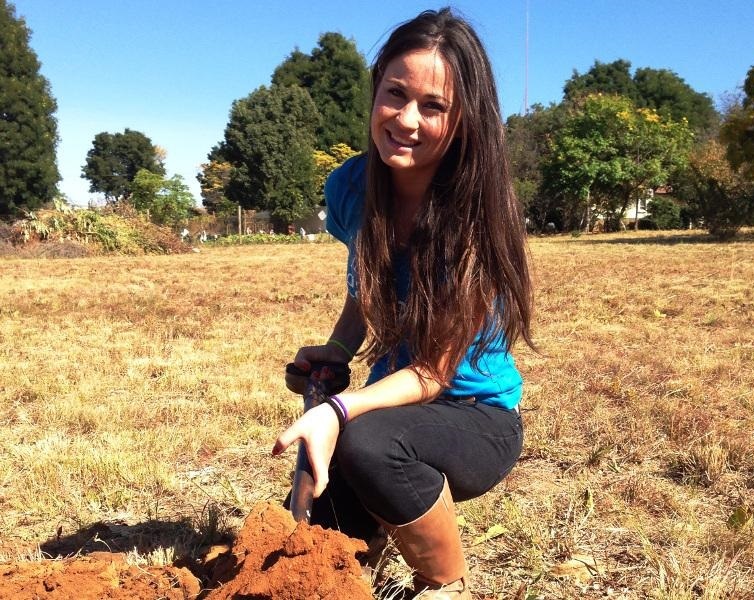 Victoria Kitley of Randburg is a finalist in the Miss Earth South Africa pageant. 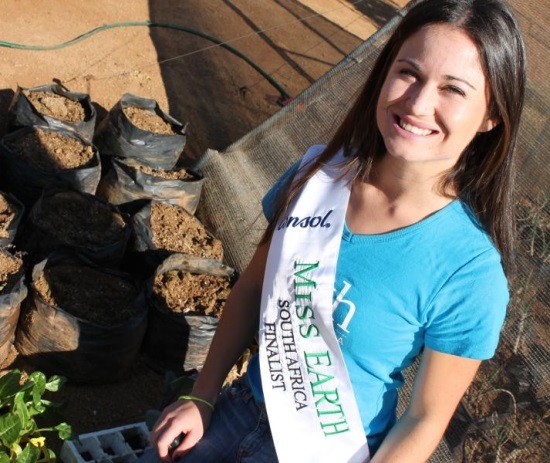 Planting trees and vegetables are ways in which a youngster from Stellenbosch, Miss Earth SA finalist Victoria Kitley, shares environmental knowledge and helps out in communities this year. This proves again that beauty is worth a lot more when paired with intelligence and a big heart. The pageant aims to empower young South African women with the knowledge and create a platform to make a sustainable difference in the plight to combat the destruction of our natural heritage. The first garden she planted was at a Akani Primary school in Diepsloot, where she planted cabbage, broccoli, cauliflower, spinach, carrots, tomatoes, beetroot and sweet peas. The school uses the vegetables to feed the children that attend it once they are ready. Whilst there, she taught the grade 4s how to plant the vegetables and spoke to them about sustainable gardens as well as the meaning behind food insecurity. The second garden was on a slightly smaller scale at Khaya centre in Lahae. The centre is used for home based orphans and those living with AIDS. It provides them with food and activities. The garden she planted will help to feed those attending the centre. 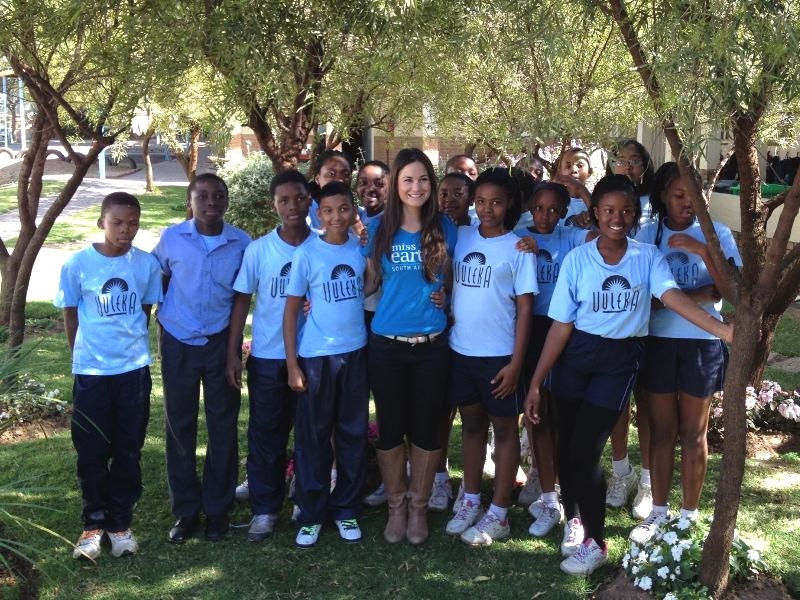 Kitley recently visited Vuleka St Mark’s Primary in Northriding, where she helped pupils to plant 10 trees donated by Lifestyle Garden Centre in Boskruin. At the end of her day at the school, after giving a talk on the importance of taking care of the environment and also World Environment Day on 5 June, one young pupil stunned her. The Miss Earth finalists said she was proud to teach children who have a bright future and to walk away learning more from them than they learned from her. Originally from Stellenbosch, Kitley first studied screen production as an undergraduate and then went on to complete her honours degree in Environmental Science at the University in Cape Town before moving to Randburg.